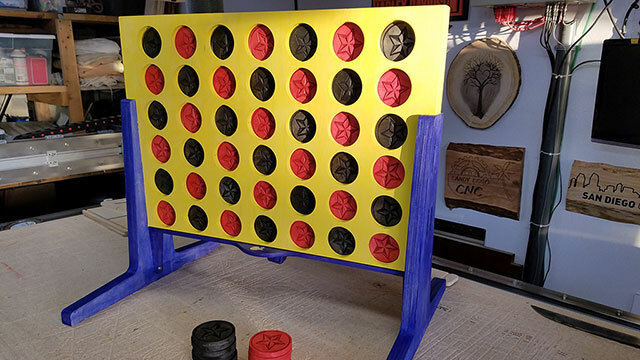 I was tasked with making a giant Connect Four for a house party and only had two weekends to get it completed. Creating the design from pictures online was easy, staining it all once it was assembled was a nightmare. Sometimes I learn from my mistakes, hopefully this is one of them. Using scrap Baltic Birch I had in my shop I utilized a foot design borrowed from Opendesk furniture I’ve made in the past. This made the toy very heavy and stable which is great for the application it will be used for, mostly parties. So far it has been used at a couple parties and a couple corporate events.